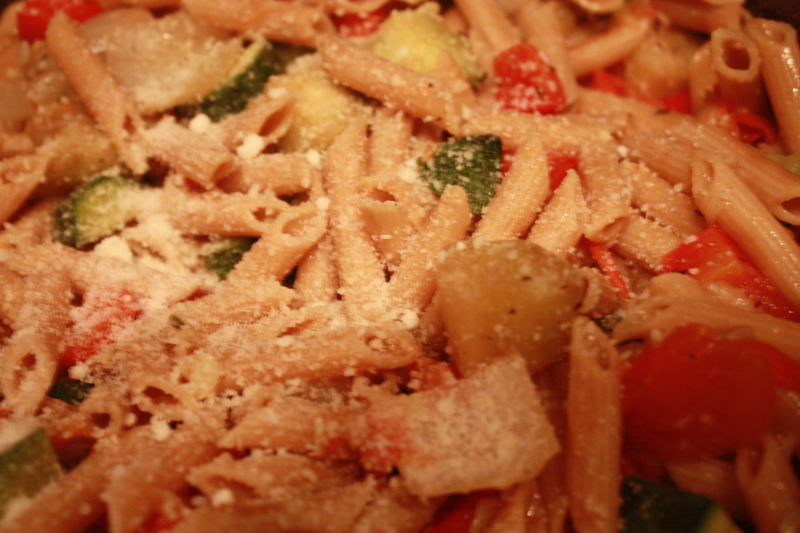 I’m always on the look out for new recipes that are easy for weeknight dinners. 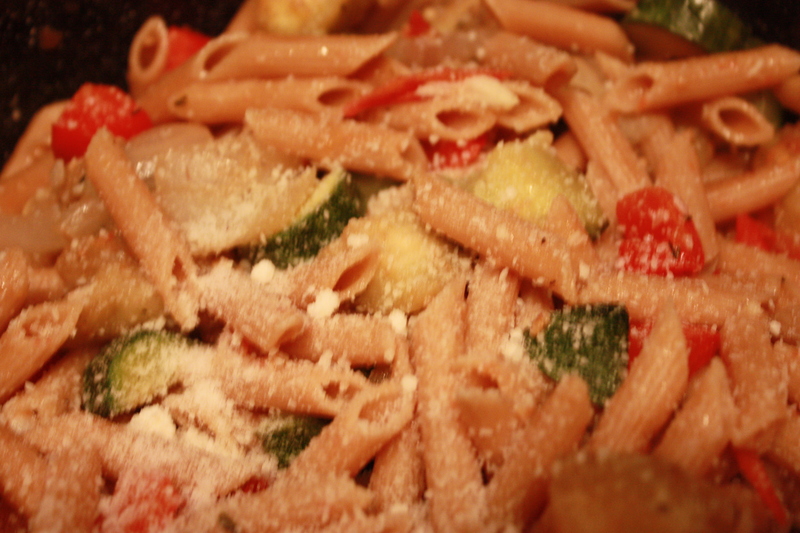 This recipe took me all of 10 minutes, i swear! 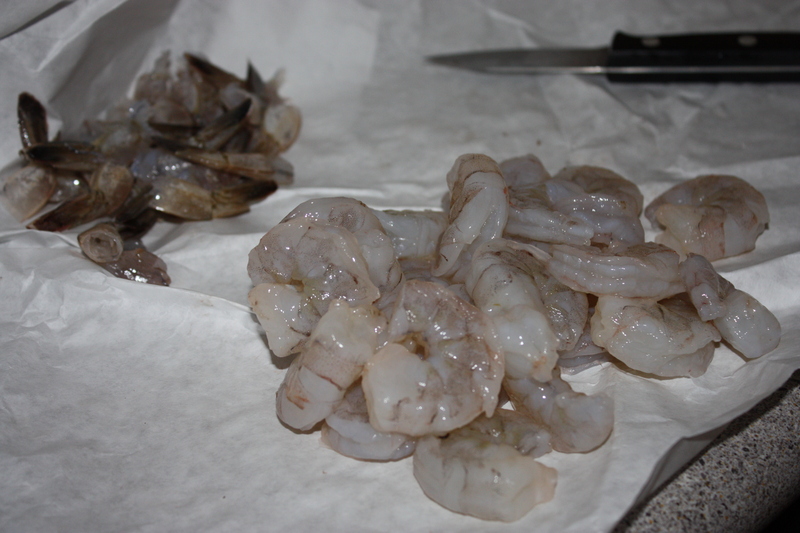 and the preparation is minimal too. Heat a frying pan over medium-high heat, unless you’re lucky enough to have a wok then use your wok. 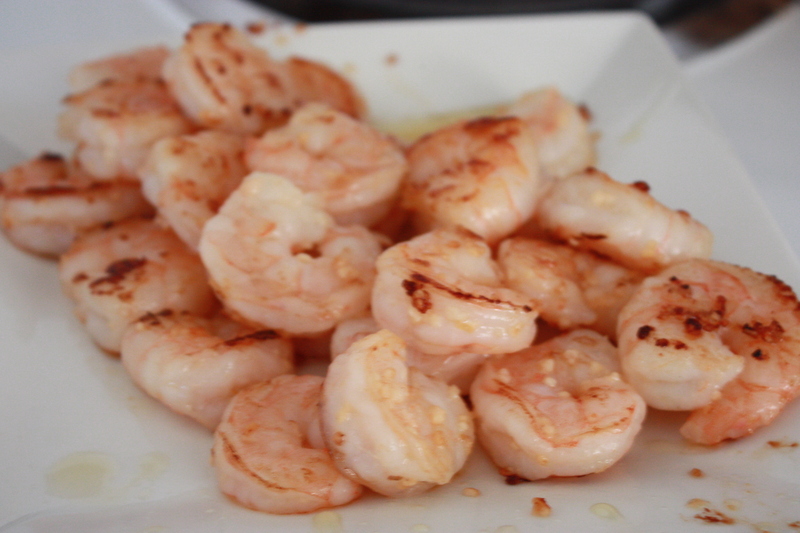 Add olive oil so that it warms up, and then add the shrimp and about half of the garlic. 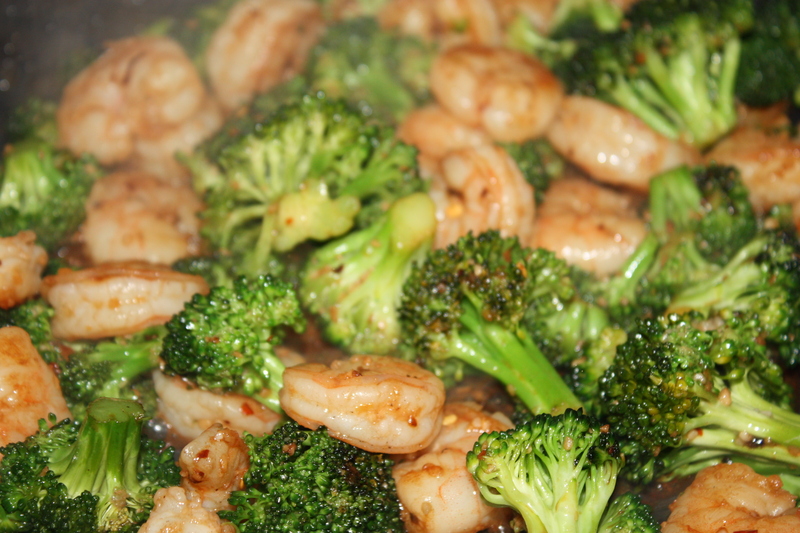 Stir fry quickly until the shrimp just about turns pink and then remove from heat and set aside in a plate, don’t overcook as we are putting the shrimp back to fry later with the broccoli and marinades. 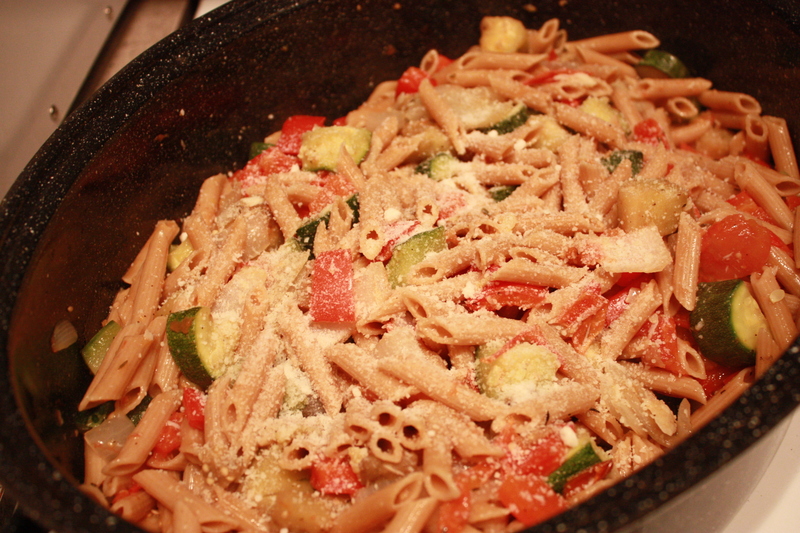 Lower the heat to medium, put a little more olive oil in the pan and throw in the broccoli and the rest of the garlic. 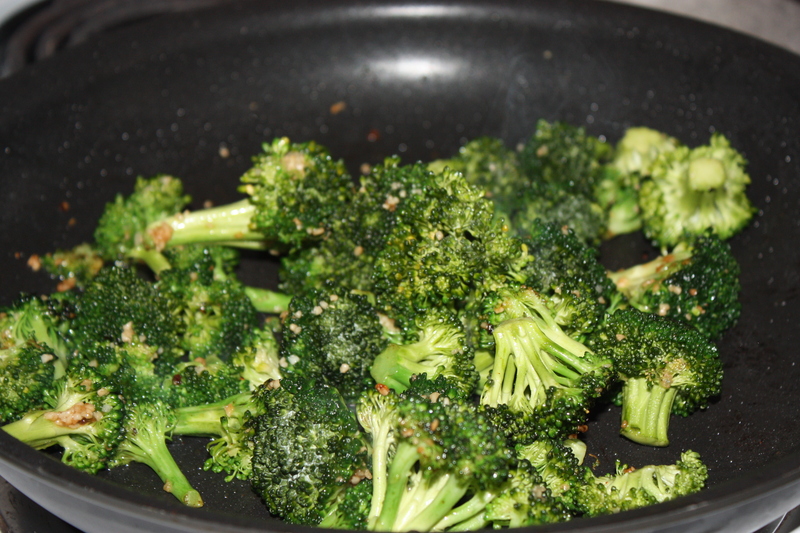 Fry until the broccoli is a pretty bright green color. 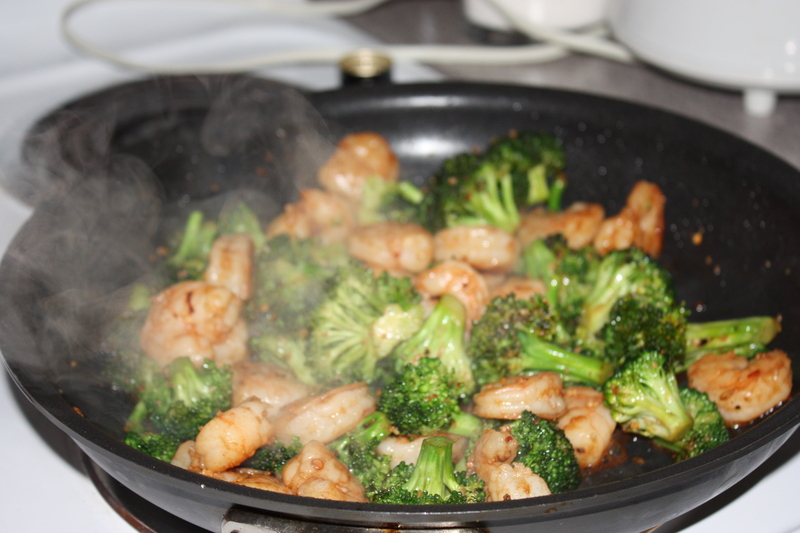 Then add the shrimp to the pan with the broccoli, with the drippings and all from the plate. 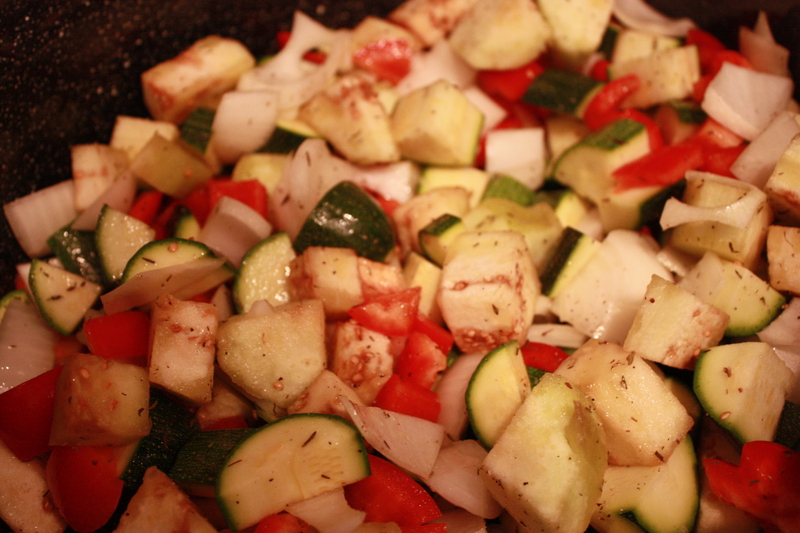 Add sesame oil and red pepper flakes. 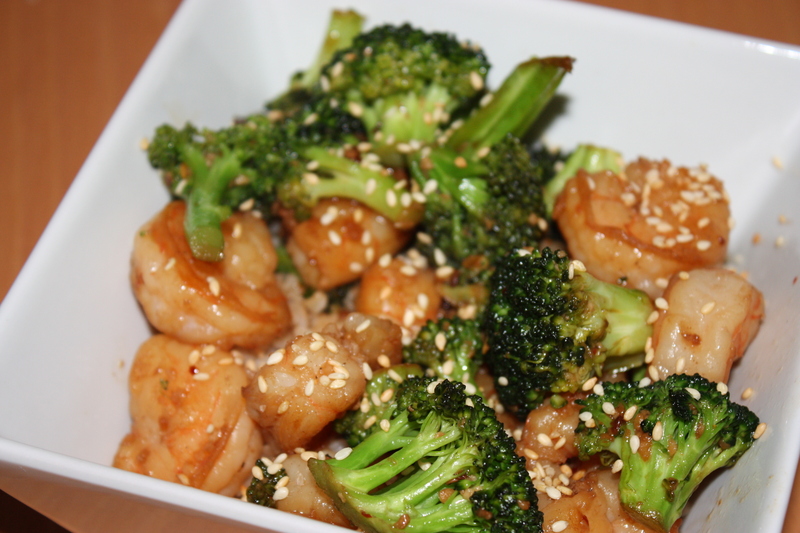 Give it a minute or so and then add the soy sauce to really pull the flavoring together. When you’re ready to serve, i recommend either with noodles or rice. 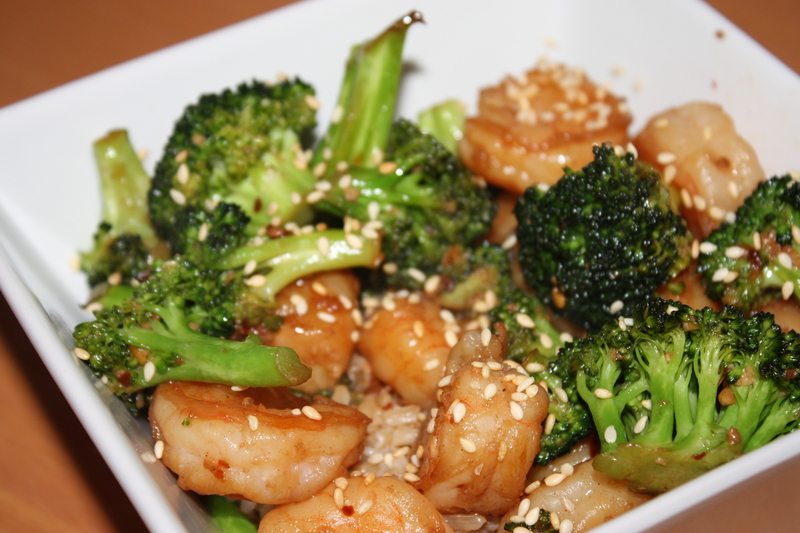 Once its in the plate, top the broccoli and shrimp with the sesame seeds. Get your fork, and enjoy! !